Some people that file for bankruptcy have a choice of filing Chapter 7 or Chapter 13. For others, the option to file a Chapter 7 may not be available to them, or it may not be a good option and Chapter 13 may be more appropriate given their situation. 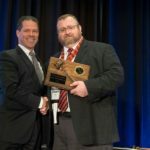 If I file a chapter 7 bankruptcy at the end of the year, will the Trustee take my tax refund in the spring? 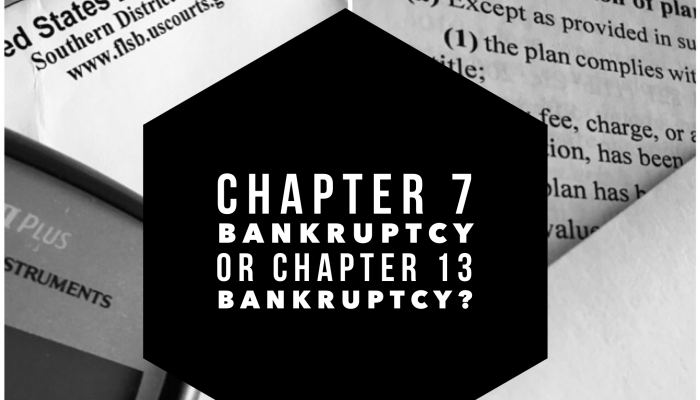 The answer depends on the amount of property you own that is listed on schedule A and B of your chapter 7 bankruptcy schedules. Schedule A lists all your real property and any equity you have in the properties. Can I pay for my bankruptcy attorney in payments? What happens to the debts that I incur after filing my bankruptcy? A Chapter 7 bankrutpcy will only helps you with the debts that you owe prior to or on the date that you file your bankrutpcy petition. What happens if I forget to list a creditor? If you have not noticed a creditor, someone you owe money to, of your bankruptcy, then the debt you owe to them is not discharged pursuant to Bankruptcy Code section 523(a)(3). This is why it is SO IMPORTANT to make sure that you list everyone that you think you owe money to, so that you can get a true fresh start! Will I be able to keep my credit cards if I file a bankruptcy? Not likely. Most of your credit cards will close your card/account once they receive notice that you filed a bankruptcy either directly or through the credit reporting bureaus. Should I stop using my credit cards if I decide to file bankruptcy? If you have made the decision to file bankruptcy, then you should stop using your credit cards. If needed, you can stop paying them and use the money you were using for minimum payments for living expenses. When you file a bankruptcy, you are required to appear at the 341 Meeting of Creditors (11 U.S.C. 341). You will receive notice of the time and date of your meeting from your attorney and the court. You will attend this meeting with your attorney about a month to 45 days after your case is filed. At this meeting, you will answer the questions of the trustee and possibly some of your creditors.